Finally, after months of procrastination I was able to organize my makeup and skincare collection. It took me less than two hours of undisrupted work to clean, store and organize everything and boy did I feel so happy afterwards. 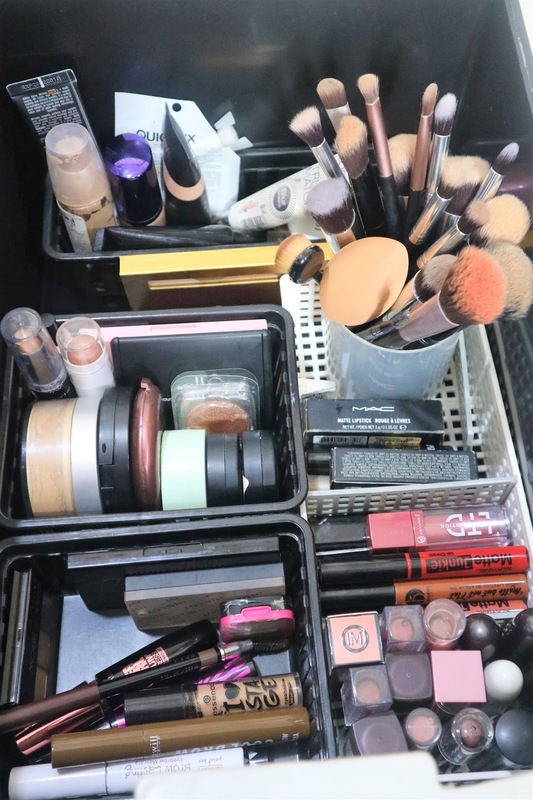 Today I will be sharing to you all how I store and organize my makeup and skincare. This is not a collection though, as I plan to make a separate video for that once my room makeover is done. With the consecutive long weekend, I decided it’s the best time to do some decluttering. I started by gathering every makeup and skincare products I have on one spot. This is also the tip mentioned on Marie Kondo’s book – collect everything! 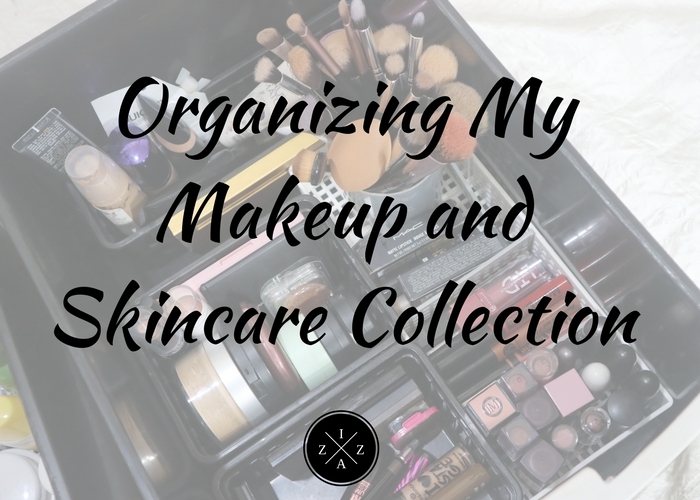 Now that I see everything at once I decided to categorize everything from face, concealers, blushes and highlights, eyeshadows, mascara and brow, lip products, mists or setting sprays, daily skincare routine, seasonal skincare products, lotions, soaps, etc. The many lipsticks I have.. This gave me a good glance on what category I’m hoarding and what category I’m lacking. Seeing the pile of lip products I have made me double check whether I really use each of the lip colors I have. 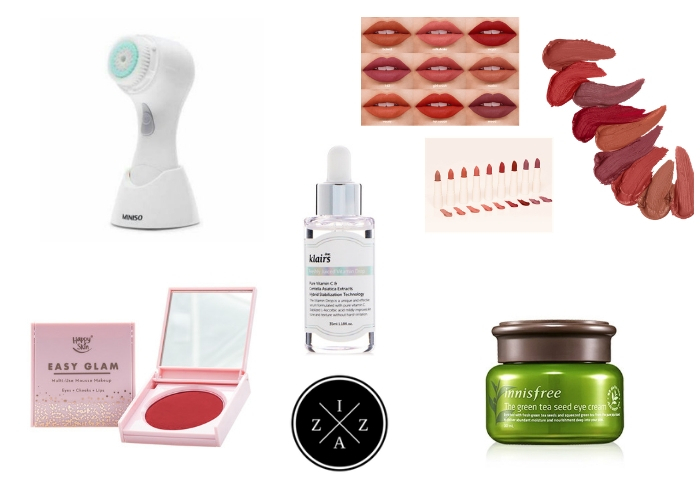 And the missing toner on my daily skincare routine section made me remember to buy one this week. This is also the time I sorted the products based on expiration date. Expired items goes immediately on the “to throw” basket. I also took time to assess some products like lipsticks I don’t use anymore and put them on “to give” basket. There are also some products in both my makeup and skincare collection that are still good to use and I’ll be selling as pre-loved. I will create a separate blog post for this so please stay tune once my pre-loved shop opens. 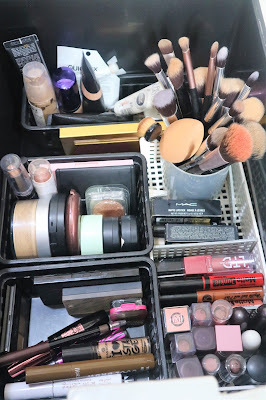 I have a small makeup collection to begin with but after decluttering it became way smaller. Still, I’m proud to say that everything I have right now are products I really use. I am also fortunate to have worked with BeautyMNL (who sponsored my brush set) and Silky Girl Cosmetics (who gave away a bunch of their new items to me). Just start decluttering. Don’t wait for signs or for you to be on the mood to organize. I tell you there’s no perfect timing when it comes to tidying up. The first step is to do it, and you should do it NOW. It takes less hours to clean when you are laser focused to the end goal. I also didn’t listen to music during the activity as it may affect my momentum. Don’t be an impulsive shopper. 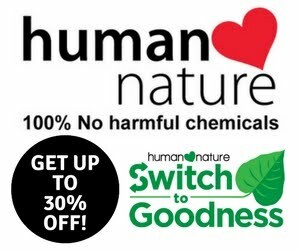 Stop buying products from unknown brands just because they are cheap. Although I must say that there are products included on my best of 250 pesos and below post that remained on my vanity. Keep only the products you love and you actually use. Isn’t it nice to see a makeup collection with products you really adore? This will not only save you thousands of pesos but will also keep your vanity clean, simple and with purpose. If a product doesn’t work, throw it. There’s no point in keeping it still on your drawers. 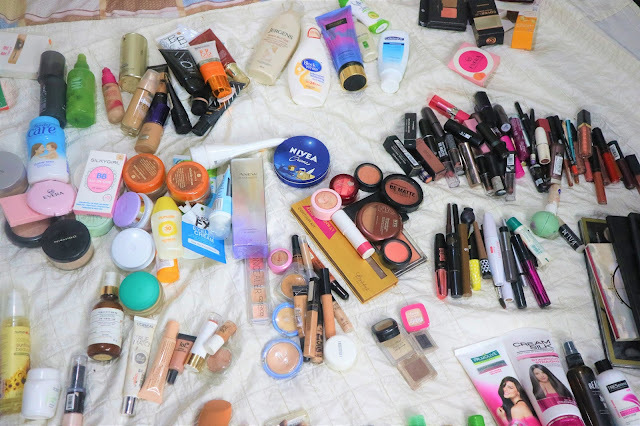 Just stop hoarding empty products and boxes once and for all. Lastly, KonMari follows a very good system of tidying up – first you discard and then next you find a place to store the item. If you do this two-step formula there will never be a need to tidy again! Visit my site to for more skin care tips. That's such a plenty of things to work on and good thing you're finished in just half an hour. It took me an hour cleaning and organizing mine all the time, pffft.